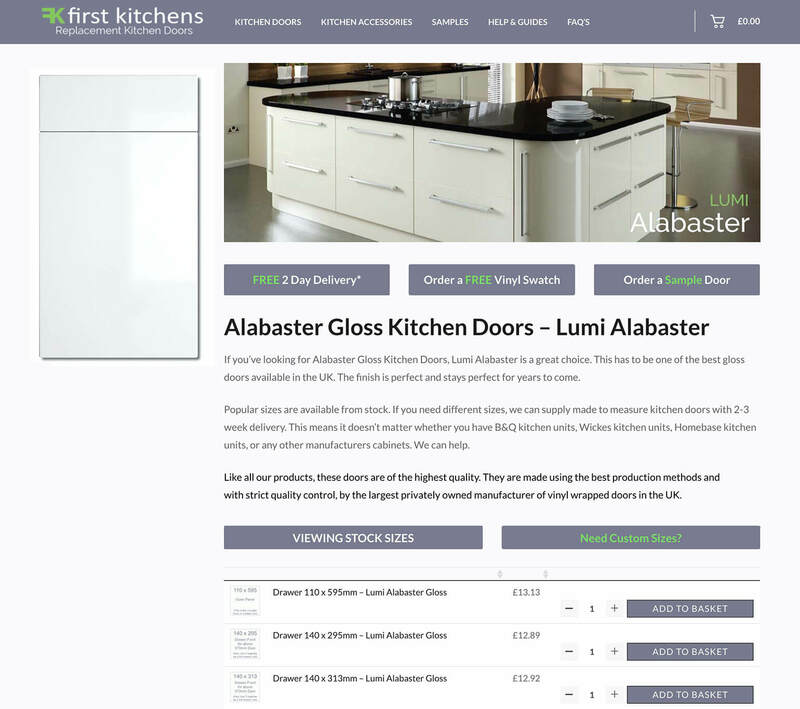 First Kitchens have a WooCommerce kitchen website selling kitchen doors and accessories. They use the WooCommerce Product Table plugin in innovative ways to allow customers to order kitchen parts. The single product pages contain a product table listing options of related parts for that product. For example, accessories to match the kitchen door that the customer is currently viewing. Each part is purchasable separately from the table of variations. Customers can use the single product page as a complete WooCommerce order form, adding everything they require to the cart from this one page. The product table format lets First Kitchens display more data about each product than if they used product variation dropdowns or a separate add-ons plugin. We think it’s a great way to use product tables for a WooCommerce kitchen website! Tutorial: How to add product tables of variations or other products to the single product page. Use WooCommerce Table to list product options on your website.